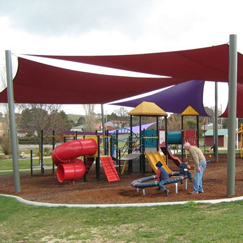 Adelaide St., between Stillingfleet St. and Martha St., Blayney NSW 2799 T 02 6368 2104 - Option 3 http://www.blayney.nsw.gov.au/community/recreation-and-sport/parks-and-reserves/parks-reserves Blayney Heritage Park is an area of high quality open space that offers a range of active and passive recreation facilities. The multi-purpose park is notable for the range of facilities it provides, catering for a wide range of users, from children to adults, families and groups, walkers and cyclists. Abercrombie Caves, Trunkey Creek NSW 2795 T 02 6368 8603 abercrombie.caves@environment.nsw.gov.au http://www.nationalparks.nsw.gov.au Offers a relaxing getaway in a peaceful surround. 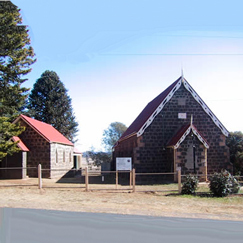 45min drive from Blayney and Bathurst on sealed roads, this beautiful reserve is a great place to camp amongst wildlife along the banks of pristine Grove creek or one of the cosy cabins/cottages. 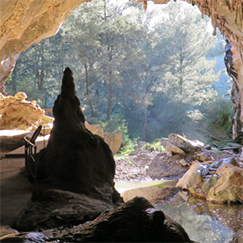 Experience a guided or self-guided tour of the spectacular limestone caves and explore the walking trails to waterfalls and historic sites. Kiosk available. One of NPWS hidden gems. 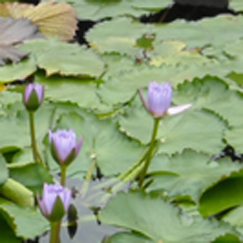 84 Newbridge Road, Blayney NSW 2799 T 0418 633 618 http://www.atholgardens.com.au Perfect Garden for Weddings. 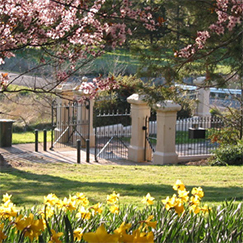 Athol Gardens is an exclusive wedding venue in a 350 acre estate near Blayney in the picturesque Central Tablelands of NSW. A secluded garden set in an established parkland offering an intimate hideaway for wedding ceremonies, creating a lifetime of happy memories. 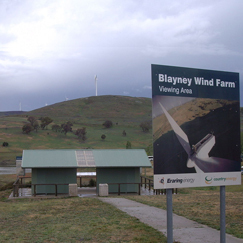 Mid Western Highway, Carcoar NSW 2791 http://www.blayney-nsw.com/Blayney_WindFarm.html The Blayney Windfarm consists of 15 turbines with a capacity of 10 MV - enough to supply the annual electricity needs of over 3, 500 average Australian homes. 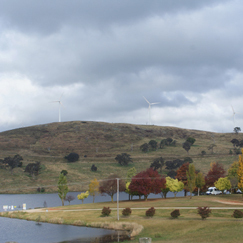 A viewing platform is provided to view and to photograph the Wind Farm and Carcoar Dam. Mid Western Highway, Carcoar NSW 2791 T 02 6367 3084 M 0438 674 081 manager@ctlx.com.au http://www.ctlx.com.au/ CTLX provides the Central Tablelands with a state of the art livestock auction facility that promises a competitive market for buyers and sellers. 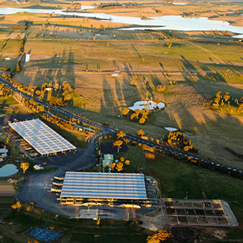 CTLX is one of the most advanced livestock facilities in Australia today and represents a new era in livestock marketing. Come and see the sales in action. 79 Osman Street, Blayney T 02 6368 2544 Discover the great sports and recreational facilities available at CentrePoint. 25m heated indoor swimming pool and toddler wading pool, well-equipped gym with spacious cardio and weights rooms, one on one personal training and group training, group fitness classes and creche. 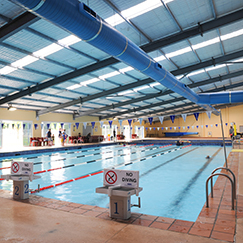 Austswim registered swim school, catering for infants right through to adults and squad training, 2 full sized multi-purpose basketball courts, school holiday activities and children's birthday parties. Open Mon-Thur 5:30am - 8:30pm, Fri 5:30am -6pm, Sat 9am -5pm, Sun 10:30am - 3pm. 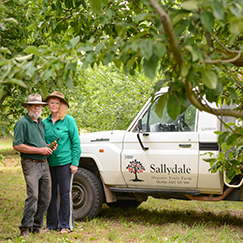 Marshall's Lane Blayney T 0428 407 880 sallydale@live.com.au 25 Years certified Organic Apple Orchard with 100 varieties of apples. Plums, walnuts, chestnuts, eggs, honey and organic lamb. Seasonal fruit sales. Value added products available. Cash only. Please give us a courtesy call before arrival. Farm Gate Tues-Sun 10am - 4pm. T 1800 069 466 tourism@orange.nsw.gov.au http://www.orange-nsw.com/SpringHill.html Explore the history of Spring Hill, by taking the Heritage Trail walk which starts at the Spring Hill Temperance Hall and meanders around the village streets returning to the Hall, giving you an insight into the history of Spring Hill. The walk will take approximately an hour to complete. Wentworth Mine, Mitchell Highway, Lucknow NSW 2800 T 02 6393 8170 museum@orange.nsw.gov.au http://www.wentworthmine.com.au/ The Lucknow goldfield was discovered in 1851, soon after Australia’s first payable gold was found at nearby Ophir. 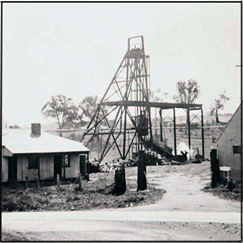 Wentworth Mine is open on the first Saturday and Sunday of each month from 10.00 am – 2.30 pm; admission is $2.00.